The Puerto Rico Industrial Development Company announced the start of sessions to inform small and mid-sized businesses getting agency assistance on the availability of special incentives to export and market their goods and services. Manuel Laboy-Rivera, executive director of the agency known as PRIDCO, said the “Power your Opportunities” sessions will take place Aug. 23, 29 and 31 in San Juan, Ponce and Arecibo, respectively. 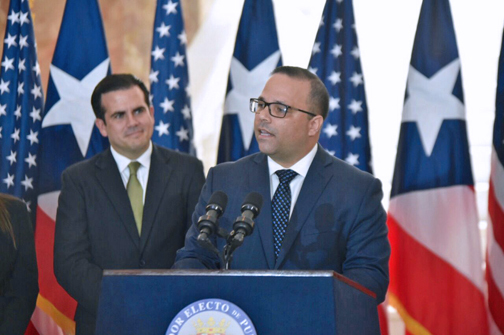 “The goal of this initiative is to reach entrepreneurs in Puerto Rico, to guide them on special government incentives available to export, such as the Special Marketing Activities and Foreign Transportation through the Special Economic Development Fund and the Economic Incentive Fund that PRIDCO manages,” said Laboy-Rivera. “We will present how these incentives work, the requirements and eligible activities. We have also invited representatives from companies that currently export to share their experiences with participants,” he said. Tools available through the Puerto Rico Small Business & Technology Development Center will also be discussed, he said. The Special Marketing Activities Incentives Fund has an allocation of $850,000 for fiscal year 2017-2018, which offers qualifying companies a 50 percent refund of the costs incurred in promotional campaigns for their products or services. The company could receive government matching of up to $50,000 if their annual sales do not exceed $10 million and up to $30,000 if annual sales are less than $100,000, he explained. The Foreign Transportation Special Incentive fund has an allocation of $200,000 for the current fiscal year, and grants eligible companies a reimbursement of 20 percent of the costs of transporting products, up to $2,000 per shipment via land, sea or air. The amount to be granted per company will not to exceed $50,000 for the transportation of goods from any point in Puerto Rico to its final destination. Companies that export may apply the incentive for up to three consecutive years or sporadic periods, if they prove they achieved growth in exports and employment. The three orientations will be held from 9 a.m. to 12 p.m. The session in San Juan will be held at PRIDCO’s Hato Rey headquarters, while the InterAmerican University will be the site for the workshops in Ponce and Arecibo. Registration is required and space is limited. For more information, call 787-758-4747 extension 3377 or email osei@pridco.pr.gov. Hey Buddy!, I found this information for you: "SMEs can get up to K in marketing, export incentives". Here is the website link: https://newsismybusiness.com/marketing-export-incentives/. Thank you.